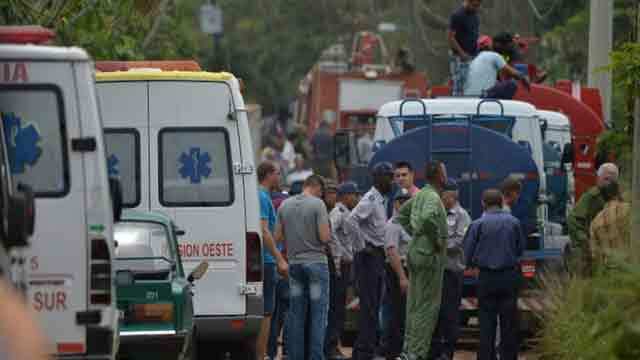 Havana, May 19 (Just News): More than 100 people have died after a Boeing 737 airliner crashed near Cuba's main airport in Havana, the country's worst air disaster in decades. The Boeing 737-201 crashed at 12:08 (16:08 GMT) on Friday, shortly after taking off from Havana on an internal flight to Holguin on the east of the island. "There has been an unfortunate aviation accident. The news is not very promising, it seems that there is a high number of victims," Cuban President Miguel Diaz-Canel said after visiting the crash site. It's too early to say what caused the crash, but eyewitnesses on the ground describe seeing the jet burst into flames before crashing into a field close to a wooded area near Havana's main airport. "I saw it taking off," supermarket worker Jose Luis told the AFP news agency. "All of a sudden, it made a turn, and went down. We were all amazed." "We heard an explosion and then saw a big cloud of smoke go up," Gilberto Menendez, who runs a restaurant near the crash site, told Reuters. Mexico's transport department said on its website that "during take-off (the plane) apparently suffered a problem and dived to the ground". Boeing said that it was ready to send a technical team to Cuba, "as permitted under US law and at the direction of the US National Transportation Safety Board and Cuban authorities". A US trade embargo has been in force against Cuba for many decades. What do we know about the survivors? Four people survived the crash but one died after being transported to hospital, the director of Havana's Calixto Garcia hospital, Carlos Alberto Martinez, told Reuters.